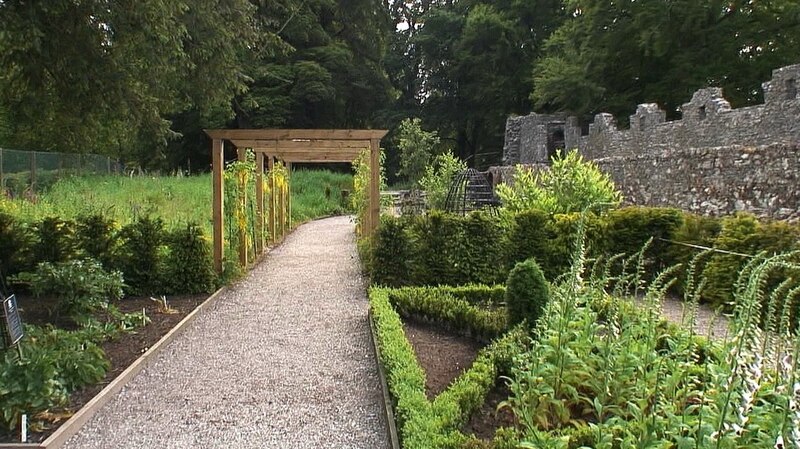 The Poison Garden at Blarney Castle is one of the featured gardens on the grounds that span some 1,000 acres, but it is but a tiny plot sheltered behind the Blarney Castle battlements. The Poison Garden contrasts sharply with the expansive green spaces and vibrant flowers found elsewhere on the estate property, but mystique pervades the small plot and has curious visitors anxious to investigate . 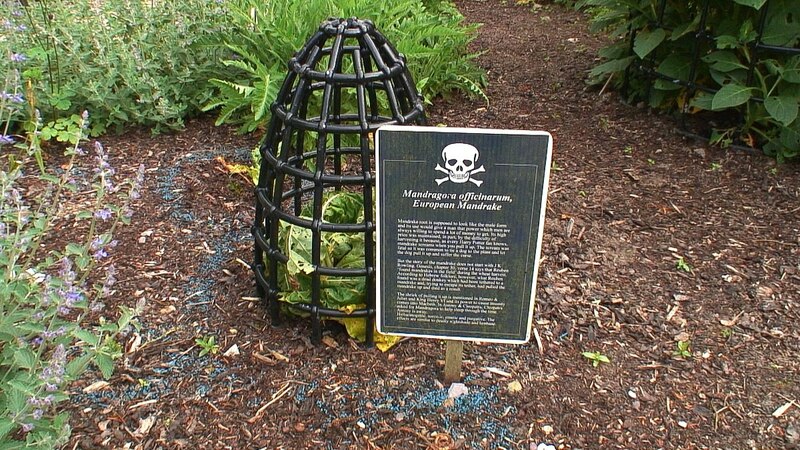 Before entering the yard that houses the Poison Garden, curiosity seekers are warned that some plants are so dangerous and toxic as to require steel cages to prevent them being touched or eaten. We were game to “enter at our own risk”. 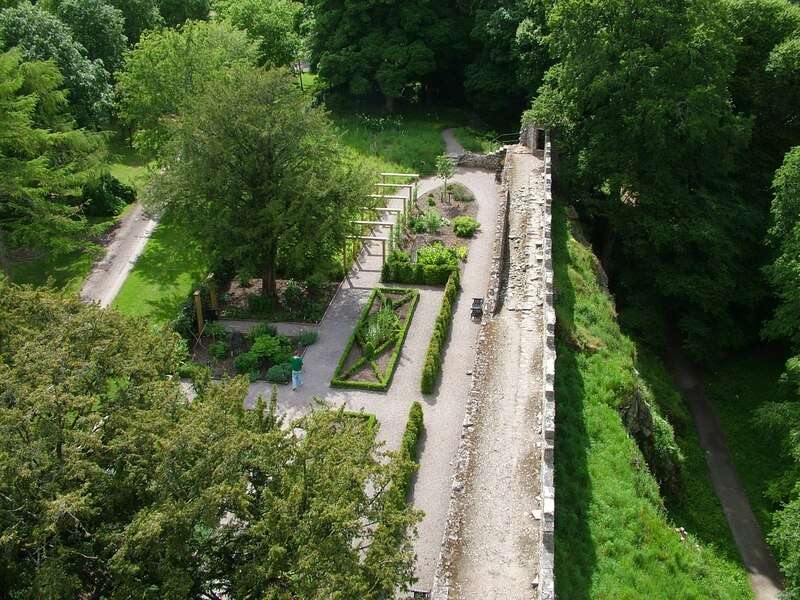 When Bob and I climbed to the top of the Castle’s battlements in order to kiss the Blarney Stone, we had a dandy bird’s-eye view of the surrounding gardens. It was from on high that we became intrigued by the layout and reputation of the Poison Garden at Blarney Castle, that was strategically laid out in order to be somewhat controlled. 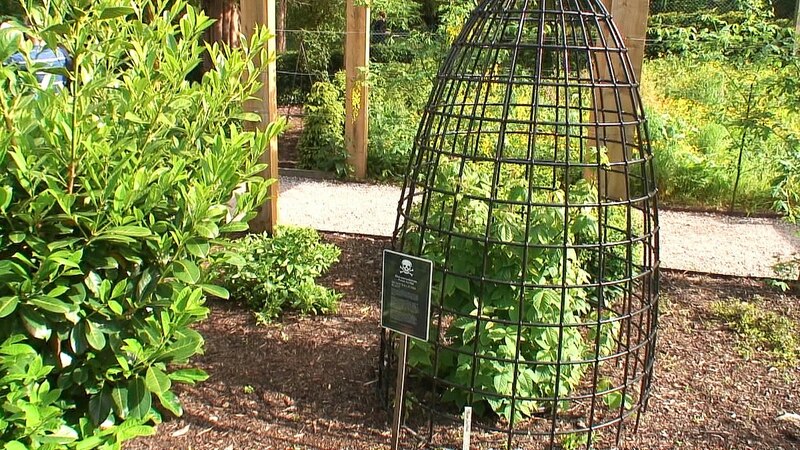 It is believed that a similar garden once occupied the same site, from as early as the 1800’s, where plants would have been cultivated for both medicinal and culinary purposes. 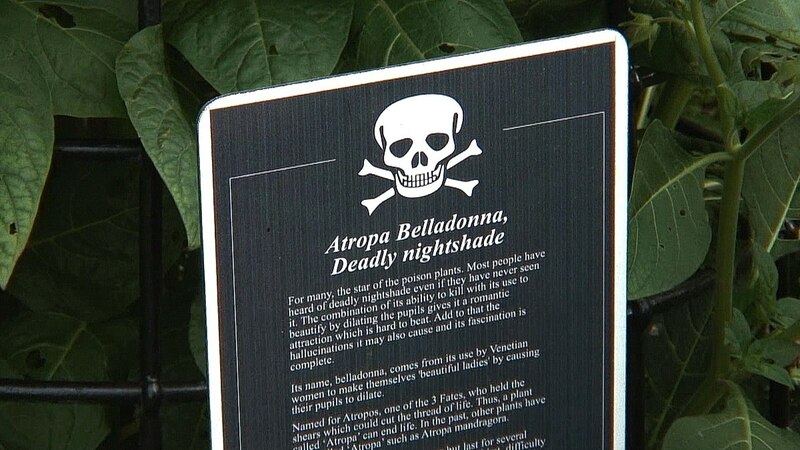 Bob and I took a walk on the wild side within the Poison Garden where we found specimens of poisonous plants from all over the world. The plants cultivated there embrace some of the deadliest toxins known to man, toxins that have claimed the lives of humans in many cases. Signage details the past and present uses of each plant found along the pebbled walkway. 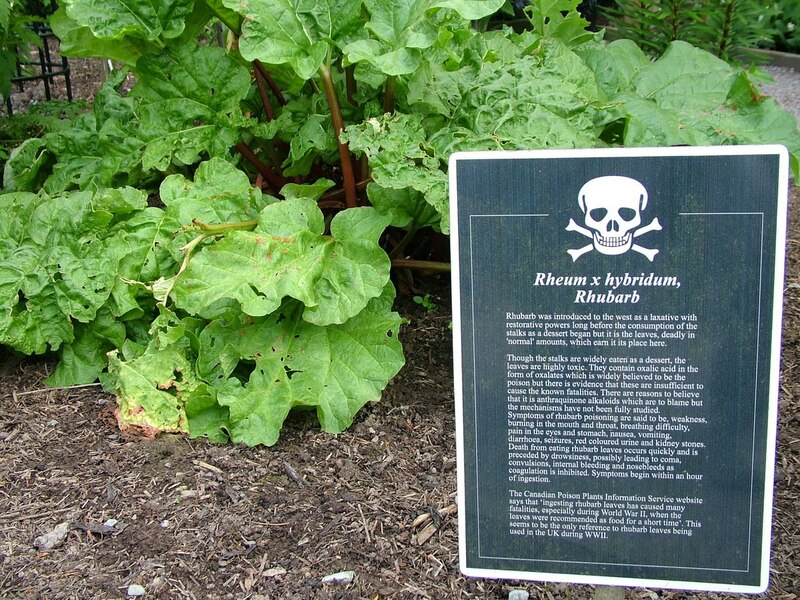 It is hard to imagine that any part of these poisonous plants was once used for medicinal purposes, but they played a big part in medical practices from as early as 5,000 years ago and more. The old expression “it will either kill you or cure you” was in fact very appropriate. 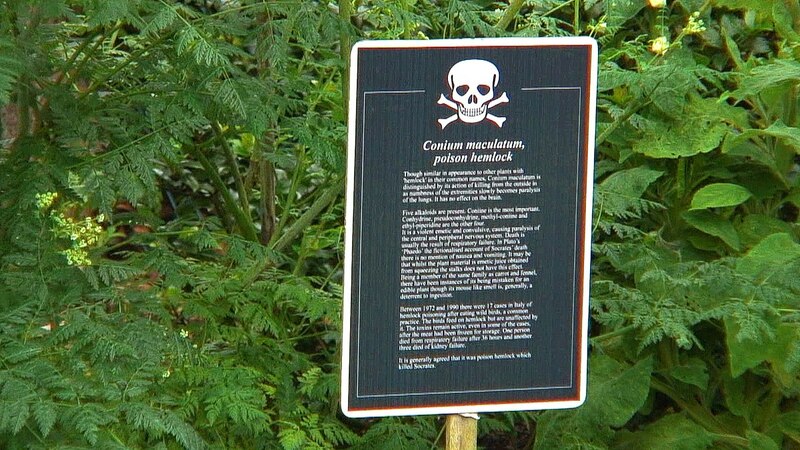 In the United States alone, some 63,000 people are exposed to poisonous plants on an annual basis. 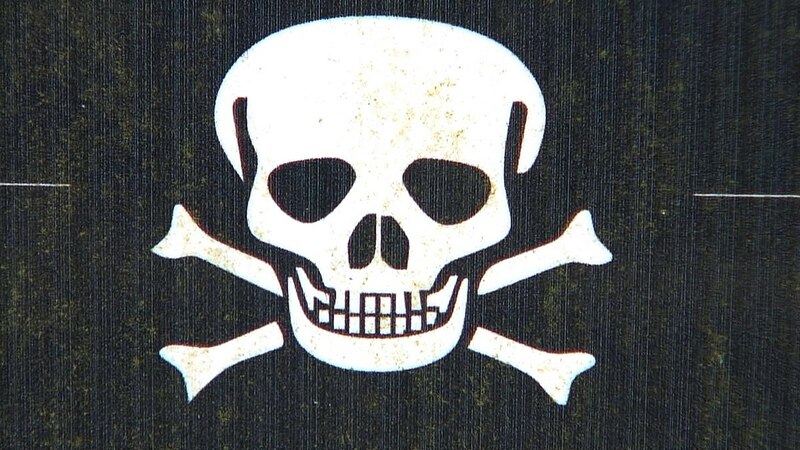 Do not take this symbol lightly. 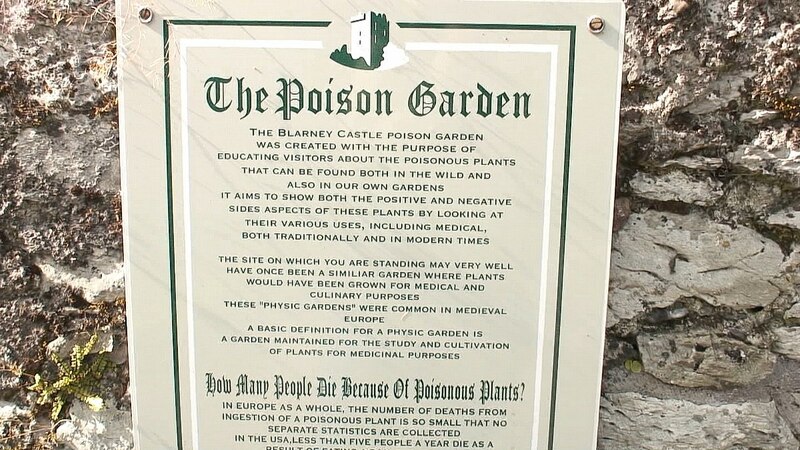 As this sign explains, the purpose of the Poison Garden at Blarney Castle is to enlighten visitors as to the positive and negative aspects of the plants grown there, which includes an examination of their various uses even in today’s world. This delicately bushy plant is called Common Rue (Ruta graveolens). 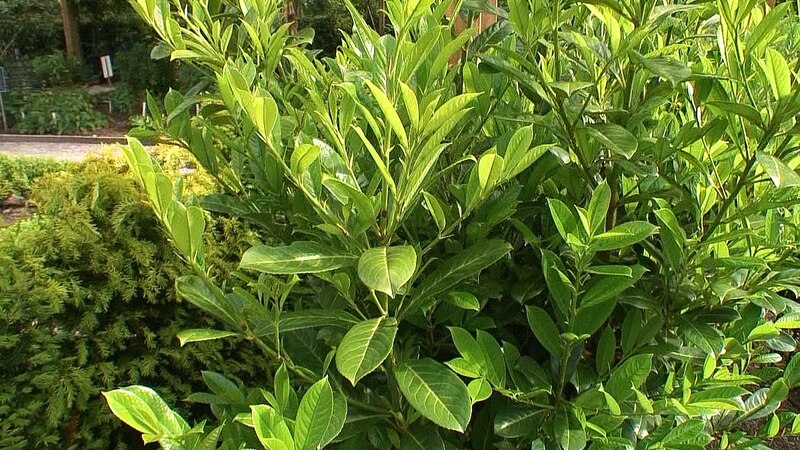 The hardy evergreen shrub has a highly disagreeable odour leading it to be used as an ingredient in insect repellent to combat house fleas and other biting insects back in the day. Seeing the effectiveness against such insects led people to rub extracts onto the skin to repel mosquitoes, but the reaction with exposure to sunshine caused severe rashes similar to that caused by Poison Ivy. 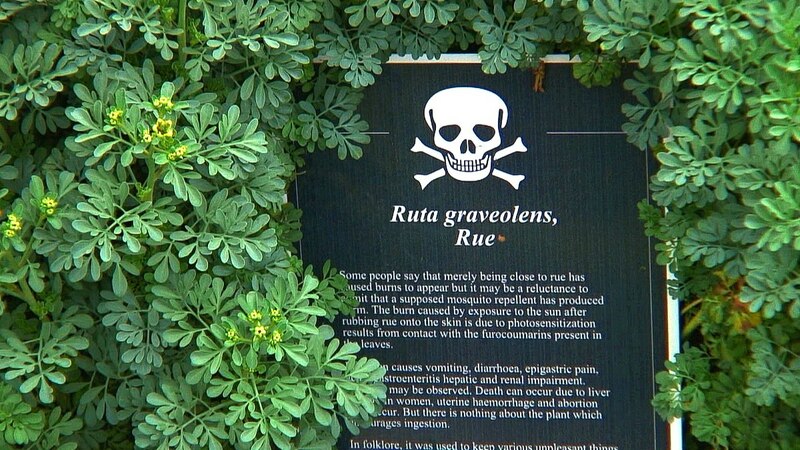 Today, Common Rue is an ingredient in many medicines, especially antidotes for poison. Hippocrates once wrote, “If a man be anointed with the juice of rue, the poison of wolf’s bane, mushrooms, todestooles, the biting of serpents, stinging of scorpions, spiders, bees, hornets and wasps will not hurt him”. But, if any of this plant is eaten without proper preparation, it can cause severe vomiting and other gastrointestinal problems even leading to death. 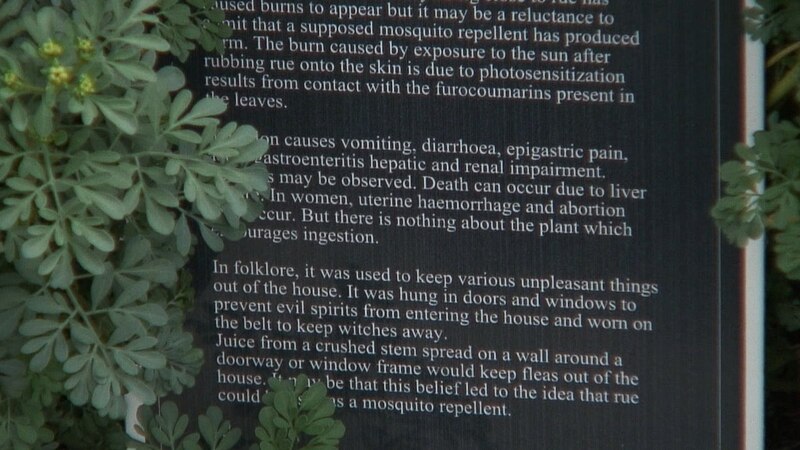 The uses of Common Rue during the Middle Ages were extremely varied, including its use as a powerful defense against witches and evil spirits. It was the primary ingredient in many spells, and was believed to summon second sight. The toxicity of Poison Hemlock (Conium maculatum) came as no surprise because, even when hiking in our native Ontario, Bob and I have come across Water Hemlock, the most toxic plant that grows in North America although the two are not to be confused. 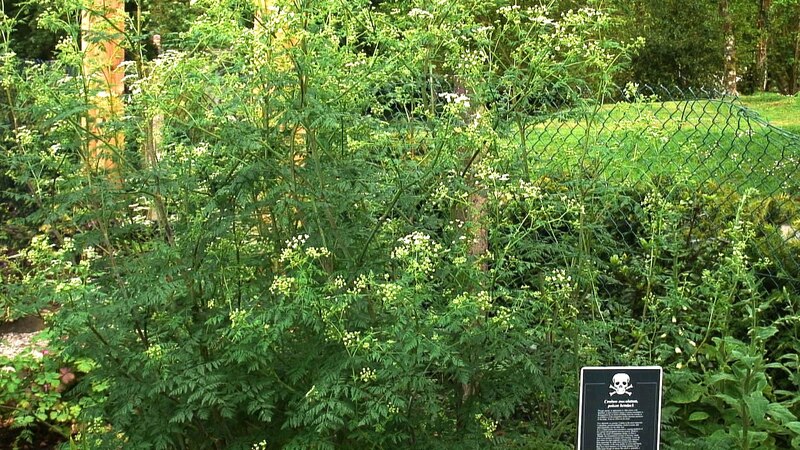 Poison Hemlock is an herbaceous flowering perennial with a variety of whimsical names, among them Devil’s Porridge, Beaver Poison, and Poison Parsley because of the similarity of the leaves to those of the parsley plant. Despite the fanciful names, all parts of this plant are lethal to humans and animals. A variety of serious ailments follow ingestion, the worst being total paralysis if subjected to an overdose. 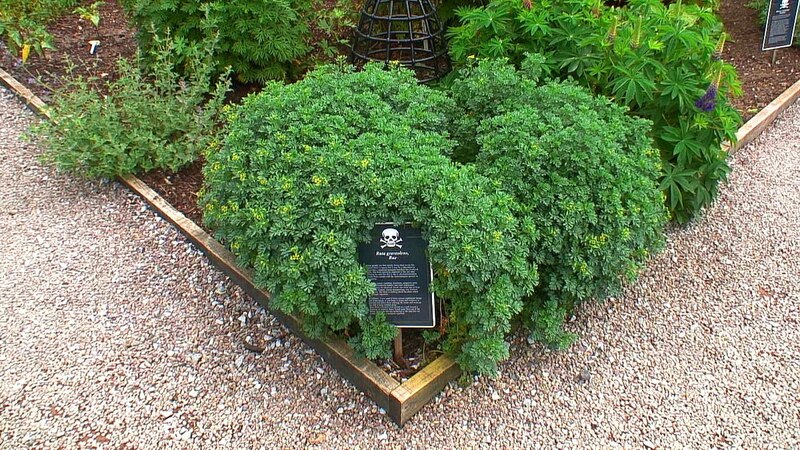 In Ancient Greece, Hemlock was used to poison condemned prisoners, the most famous being Socrates in 399 BCE. Long associated with British witchcraft, it is the invisible creeping effects of an overdose that seems magical and otherworldly. 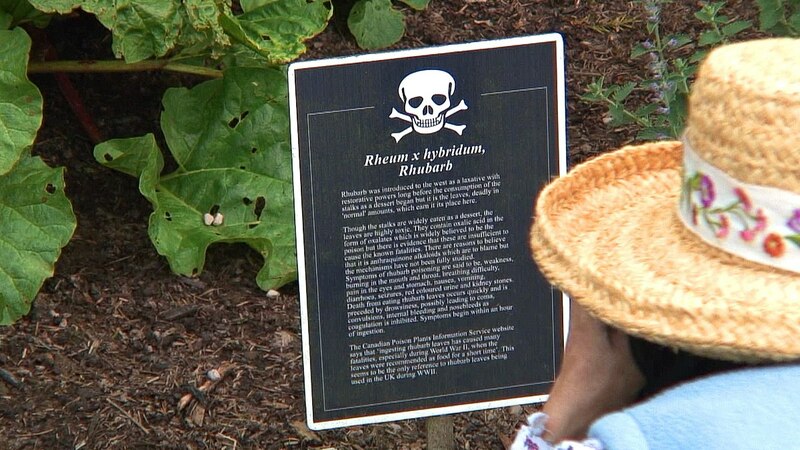 There is even a long history of children being poisoned by the plant when they fashioned whistles from the hollow stems. One of the next plants in the Poison Garden to capture our interest is no stranger to me or my family. 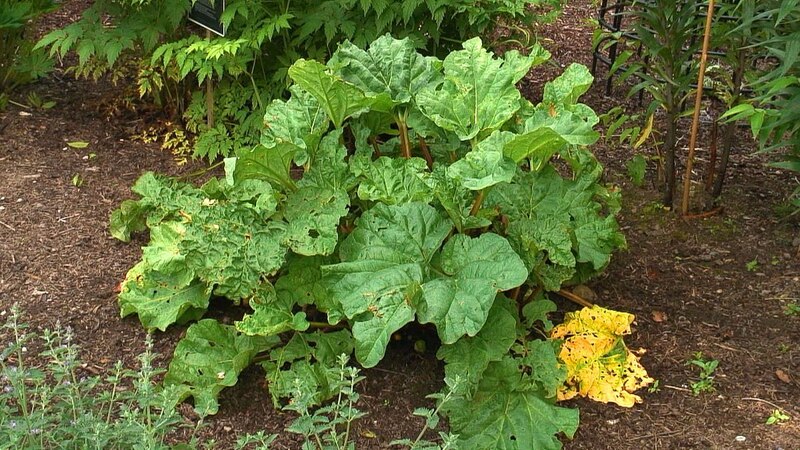 We all grow Rhubarb (Rheum rhabarbarum) in our vegetable gardens so we can enjoy the extremely tart fruit from the fleshy stems in early spring. When stewed up with a healthy dose of sugar, it makes a delightful dessert. And both Bob and I were aware of the fact that the leaves are toxic, so much so that they are to be disposed of in the garbage as opposed to the compost heap, yet the roots have compounds that have been used in laxatives for over 5,000 years. 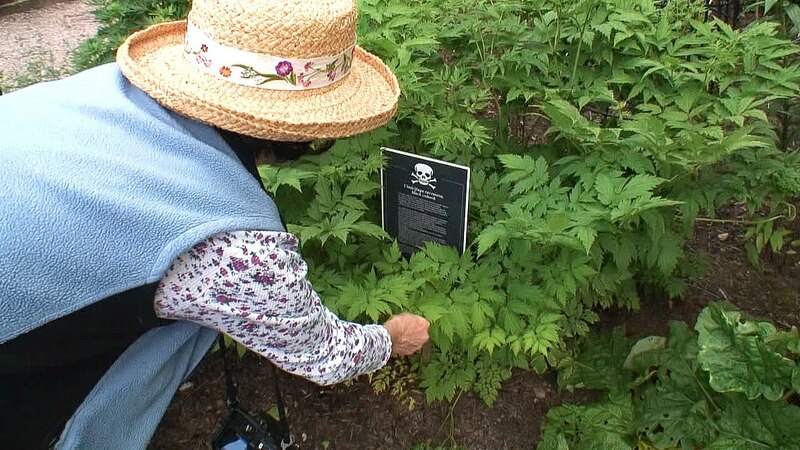 Here, I am taking a closer look at the plant known as Black Cohosh (Cimicifuga racemosa). 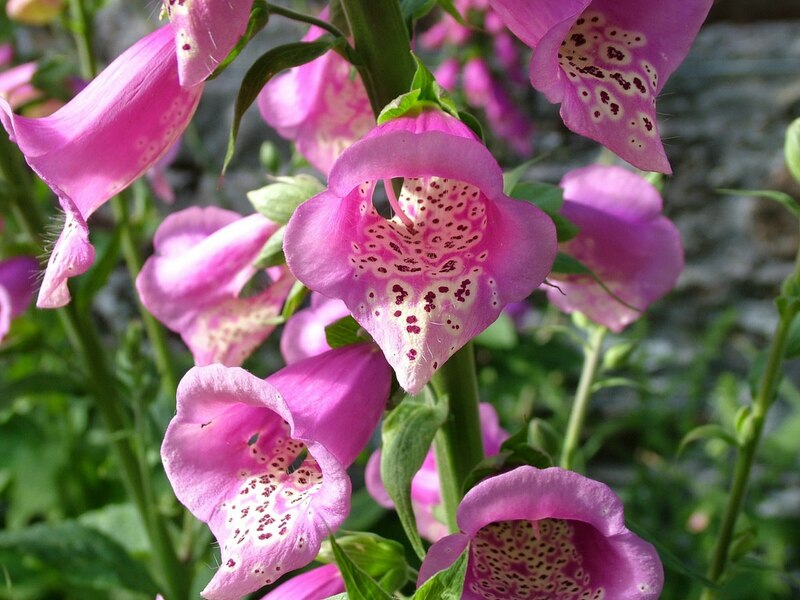 It has long been used for treatment of female conditions such as menopause and gynecological problems, but there is controversy as to whether the treatments are effective. As well, side effects from medicine infused with Black Cohosh include a wide range of health issues ranging from dizziness to seizures, diarrhea, low blood pressure and liver damage. Perhaps in this instance, the cure is not worth the risk. Further along the walkway, Bob and I found ourselves standing next to a compact evergreen shrub with beautiful shiny leaves. The leaves from this type of shrub, Cherry laurel (Prunus laurocerasus), are widely used in floral compositions while the bushes are used extensively as ornamental plants. The cherries that form on this plant are said to be edible, whereas both the leaves and pits of the cherries are poisonous. 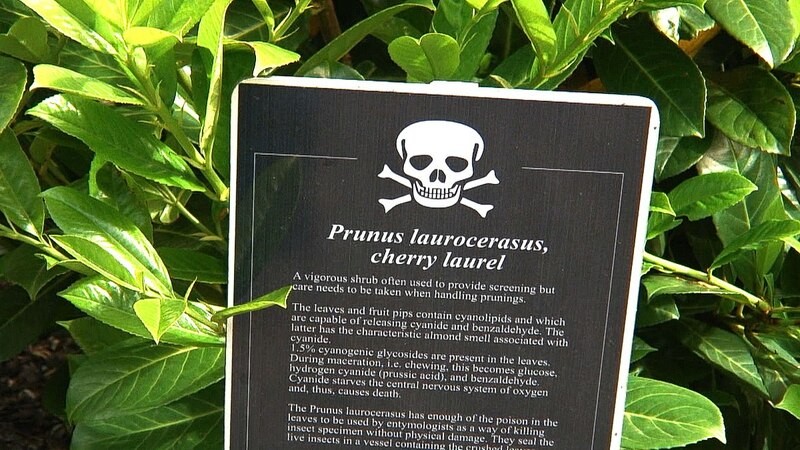 What makes Cherry Laurel toxic to humans is the presence of cyanogenic glycosides…in short, if chewed, cyanide and benzaldehyde would be created, and since cyanide starves a human central nervous system of oxygen, death could follow. I thought it fascinating that the smell associated with cyanide is one of crushed almonds…so deceiving. And so our walk continued at a slow pace as we read each sign and studied the plants. 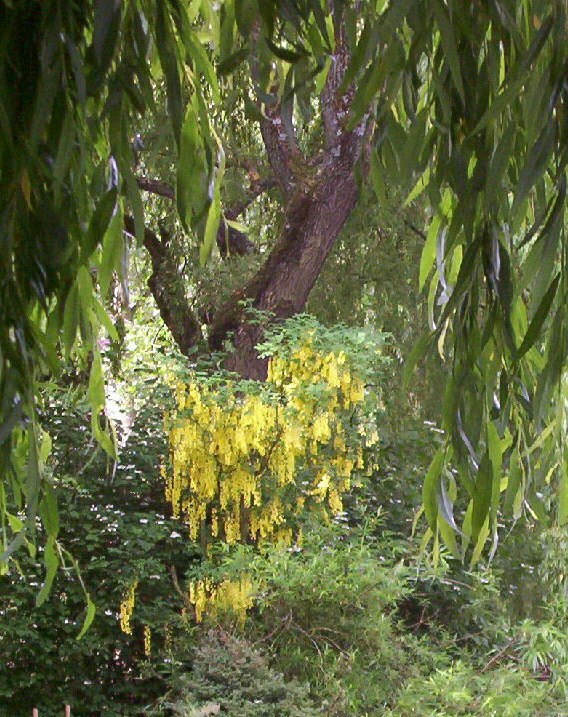 Bob and I were taken aback when we recognized the Common Laburnum Tree (Laburnum anagyroides) as the same poetically named Golden Chain Tree that we had seen near Monet’s Water Lily Pond in Giverny, France. All parts of this tree are poisonous and can claim a human life if too much is ingested, but the wood has historically been used for cabinet making and to fashion musical instruments. Bob and I were fascinated with the folklore and history of each specimen plant and tree in the Poison Garden at Blarney Castle. The knowledge of ancient cultures about the plants’ medicinal and culinary values, as well as their perceived magical properties, represents a lot of experimentation, documentation, and the passing of shared details from one generation to the next or even across language barriers considering that indigenous people acquired the knowledge long before many other cultures. Some of the plant specimens like this European Mandrake (Mandragora officinarum) are considered so dangerous that they are kept behind bars. European Mandrake has a long history of medicinal uses but is mainly connected to applications steeped in superstition. The root of the plant, although more like a misshapen carrot or parsnip, was said to resemble a human body. You might recall that European Mandrake played a role in the series of Harry Potter books and movies. 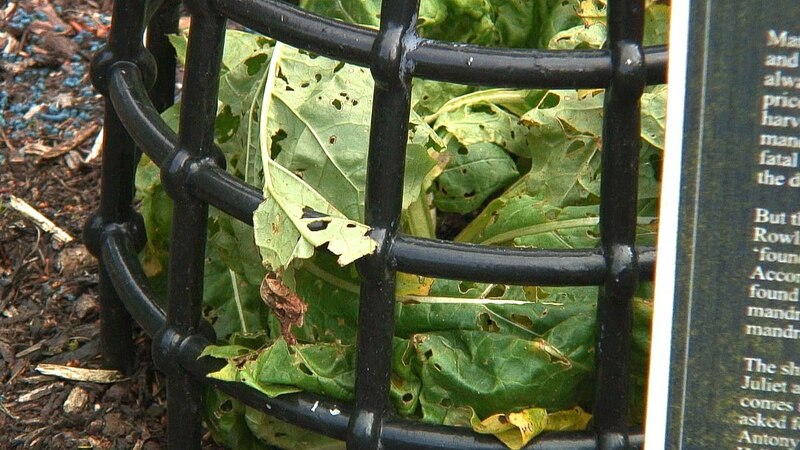 They were the plants that screamed hideously and groaned when pulled from the soil. 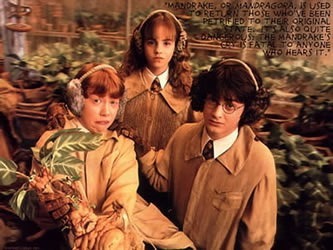 During Herbology Class in Madame Sprout’s greenhouses, Harry and his classmates were provided with ear protectors when repotting the mandrakes because to hear the scream was to die. This lore stemmed from the humanoid form of the root. The fresh and dried roots of European Mandrake contain a whole host of chemical compounds making it both hallucinogenic and narcotic, a hypnotic, pain killer and a poison, all at the same time. During the Middle Ages, it was popular as an anesthetic, whereas during the Elizabethan period, it was favoured as a narcotic. 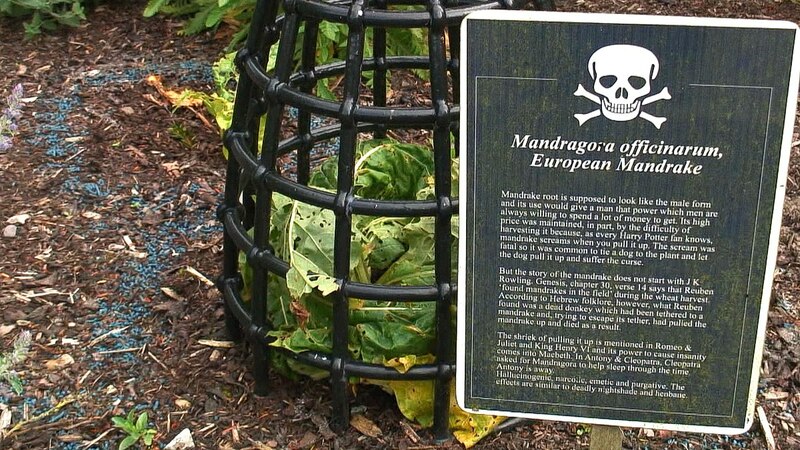 Interestingly enough, European Mandrake is a relative of Deadly Nightshade (Atropa belladonna), probably the best known poisonous plant on the planet. 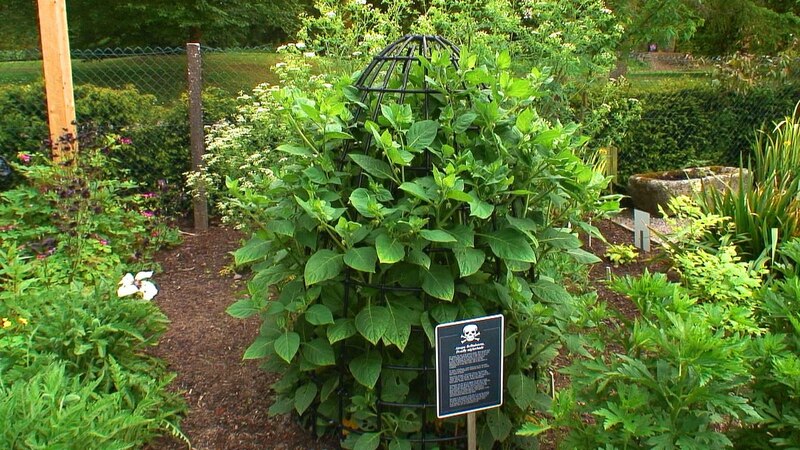 However, did you know that other members of the nightshade family include tomatoes, potatoes, eggplants and peppers? Hence, when tomatoes and potatoes were first introduced into Europe, they were viewed with much suspicion because the native plant, Mandrake, was, for them, a magical root. Even today, European Mandrake shows up in contemporary pagan traditions such as Wicca and Odinism. 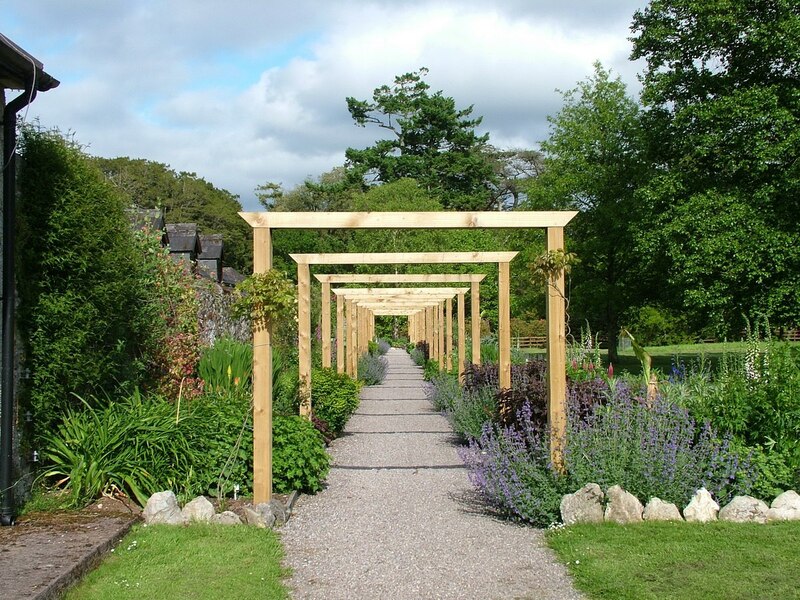 It was necessary for Bob and I to contact Adam Whitbourn, Head Gardener, Blarney Gardens, for help in identifying the above plant in our photo. He identified it as the only Poison Ivy plant (Toxicodendrum radicans) in all of Ireland. Most people are familiar with the side effects of coming into contact with Poison Ivy; some 350,000 people a year suffer ill effects from the oils in the foliage whether in direct contact, breathing smoke from burning bushes or from ingesting parts of the plant. 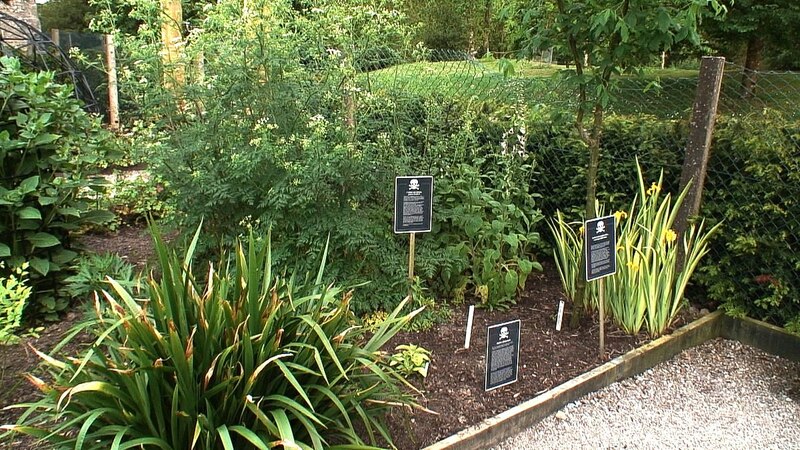 There are a whole host of folk rhymes taught to children so they will be sure to avoid the bushes. 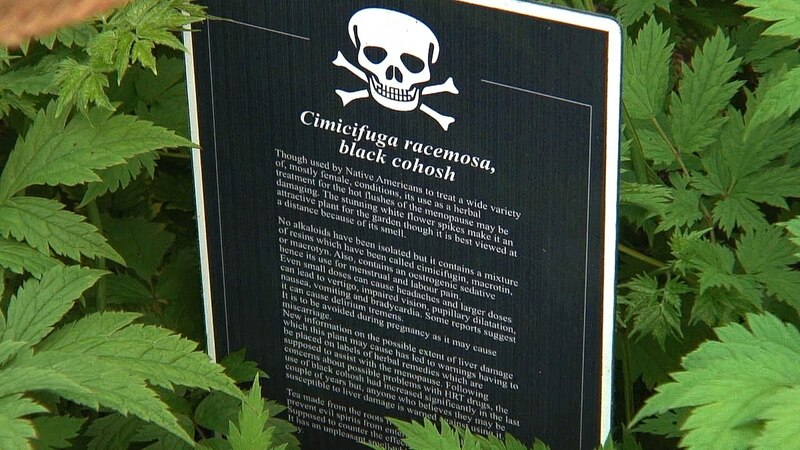 As Bob and I prepared to leave the Poison Garden at Blarney Castle, we remarked on how shocking it was to learn that we have, in our own gardens at home, several of the poisonous plants seen on exhibit there. I already knew the source of digitalis is the Foxglove (Digitalis) flower shown here, and that Monkshood (Aconitum) always demands care when handling the plant (for good reason, it is known as the “queen of poisons” and can ultimately bring on death by asphyxiation), but we learned that Oleander (Nerium oleander) contains cardiac glycocides that will actually stop the heart (My goodness! I gave one of these plants to my mom). Bob and I had lots to think about as we left the Poison Garden behind. It was refreshing to stroll the arboretum and admire such trees as the one above, once again identified for us by the head gardener in an email exchange. 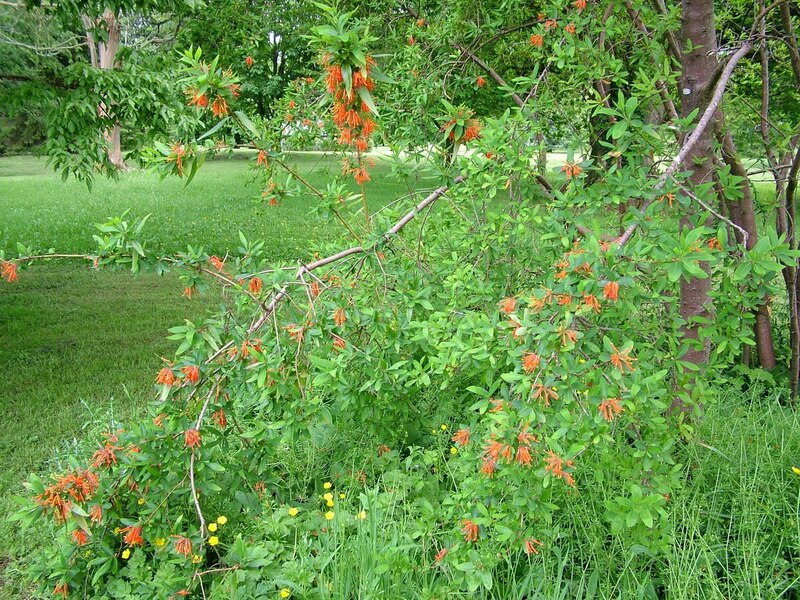 Known as Chilean Fire Bush (Embothrium coccineum) or Chilean Flame Flower, there is no mistaking why. 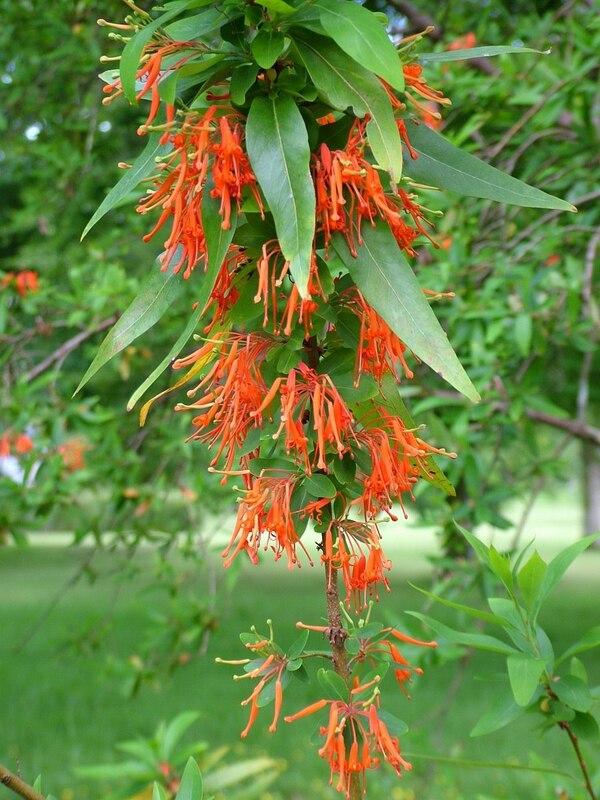 The tubular flowers evoke a sense of flames dancing in the wind. 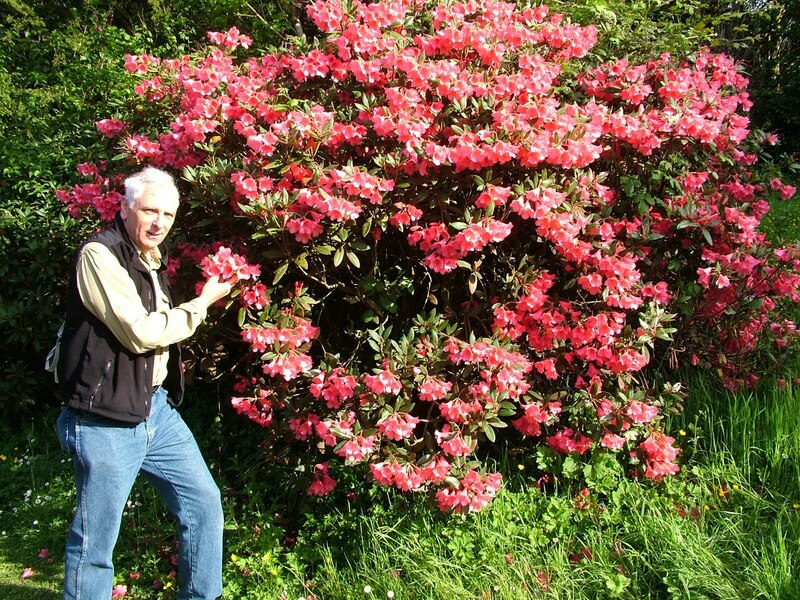 Flowering shrubs were everywhere on the Castle grounds including marvelous specimens of Azalea and Rhododendrons. We had picked a good time to travel to Ireland and were thankfully blessed with our fair share of sunny weather. Bob and I were pretty much the last two visitors to leave Blarney Castle grounds the day we visited. 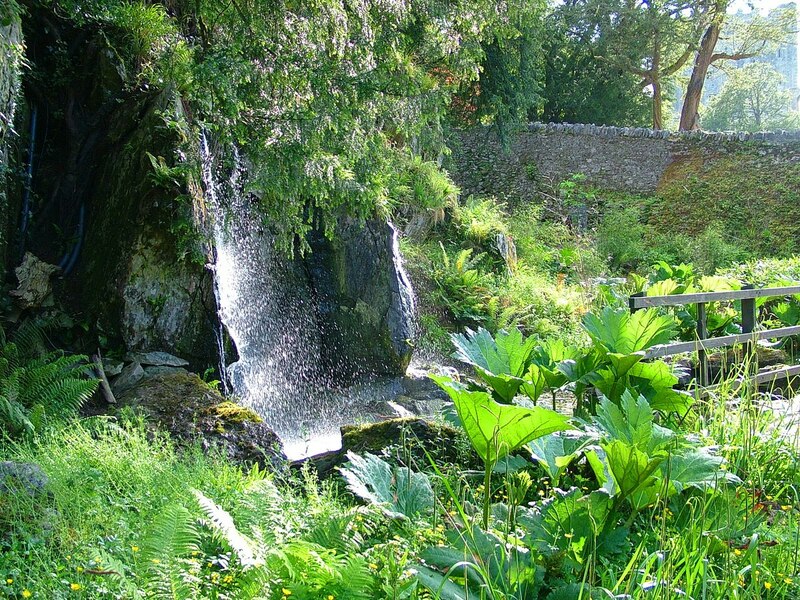 There were so many interesting gardens to investigate, the Bog Garden, Herbaceous Border, Irish Garden and Fern Garden, but alas, we dallied too long to allow time to see them all. The sun would be setting soon, and its rays were then nearly horizontal, filling the space between the shadows with an odd shifting light that seemed to waver as though the world around us were about to disappear. 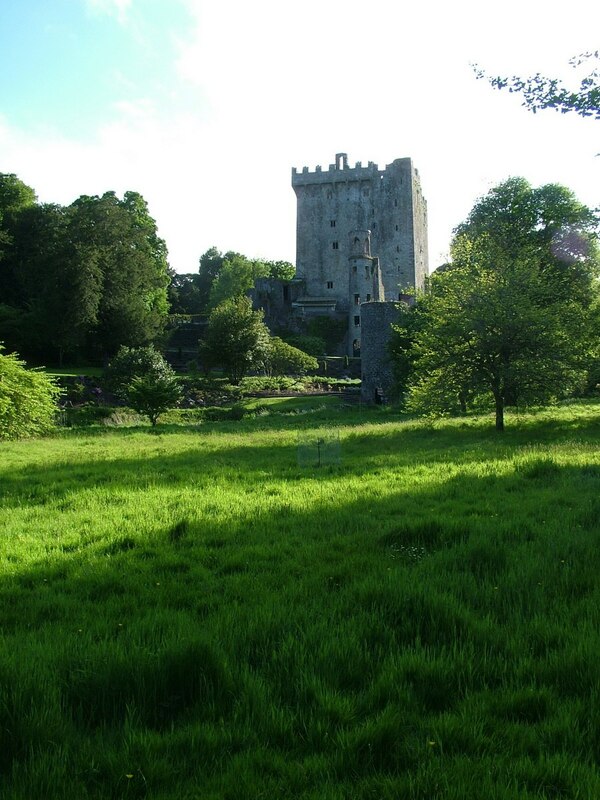 Long shadows from the sheltering trees slanted cold and dark across the lush green grass, and Blarney Castle took on a melancholy air. Bob and I took our leave in the knowledge that only the myriad ancient trees around the grounds could truly bear witness to all things past, but we sure had a good taste of what was involved. Beautifully written and photographed article! I’m a certified Master Gardener doing some research and found your observations helpful. 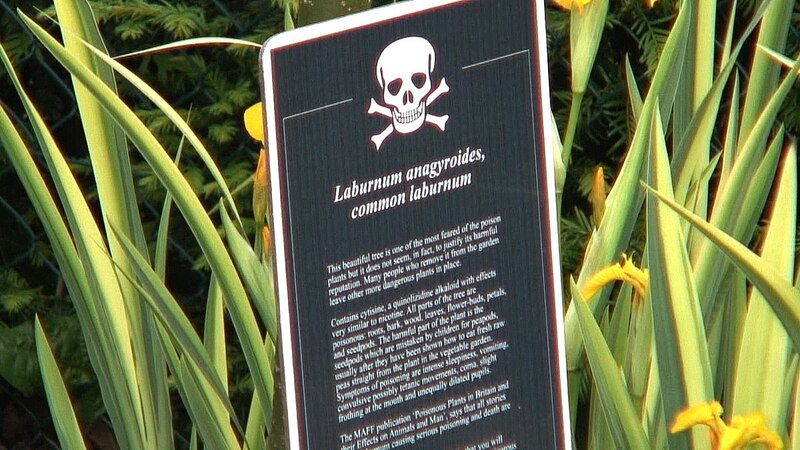 From what I’ve read, the idea of poison gardens go back to the de Mecidi family in Italy. It seems that the de Medicis found that there is sometimes a thin line between therapeutic and deadly – and found good use for their plants on both sides of that coin. Thank you for getting in touch with us, Susie. 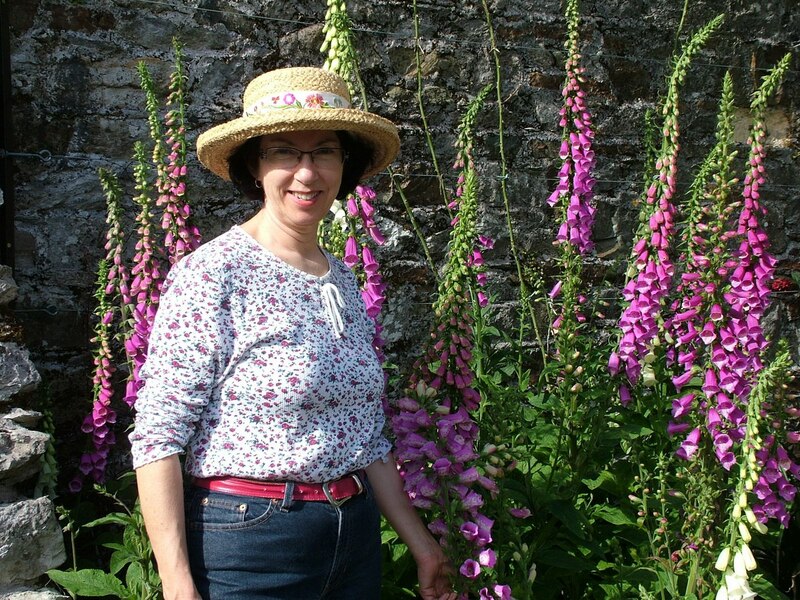 I’m pleased to learn that our blog publication actually was helpful to someone as esteemed as a Master Gardener. We value our readers’ comments. 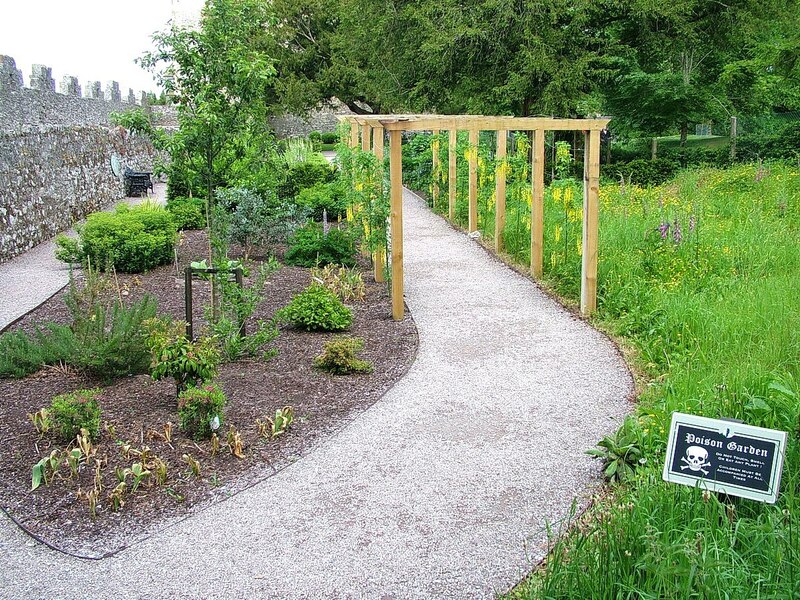 The Blarney Castle Gardens are wonderful and The Poison Garden is one of the few gardens of this type that we can find in Ireland. The good thing for nature lovers is that even if you have been there before, when you go back in another season the beauty of the gardens has changed and it’s always a new garden, full of amazing new vegetation to discover! 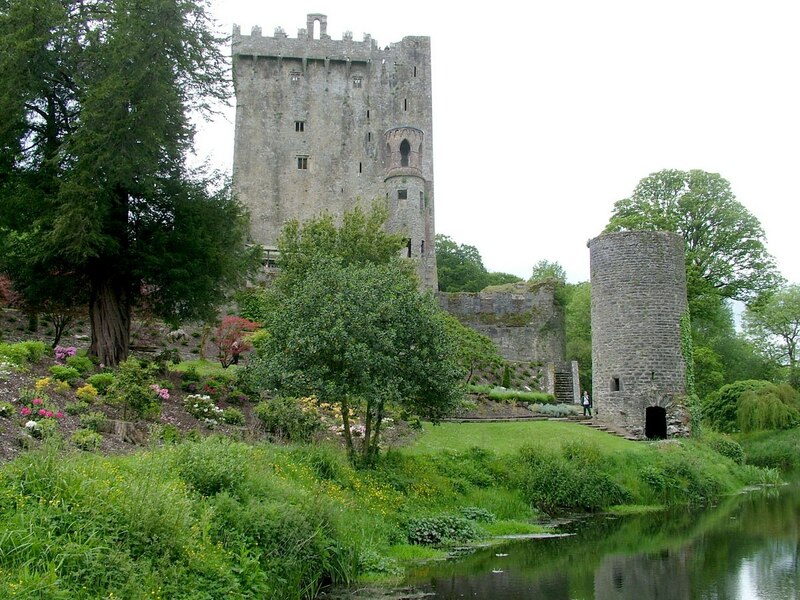 Did you have time during your visit to the Blarney Castle to kiss the Blarney Stone Bob? No we haven’t, but we most certainly will look for it. Thanks for mentioning it. Lovely to get to read this post especially given that I’m only living a couple of hundred kilometres up the country from Blarney Yet here we are and you are from Canada – Wow this world is getting smaller by the day. Thoroughly enjoyed your fantastic photos and will definitely share this post with all but most especially my horticultural students who are currently studying toxic / poisonous plants. Many thanks…. That’s awesome! Your name wouldn’t happen to be Madame Sprout, would it? Just kidding…I am honoured that someone of your caliber would think so highly of our blog post. I hope your students get some benefit from reading it. Bob and I found the Poison Garden fascinating, and as always, learned something along the way. Thank you for your comment.